“To understand a proverb, and the interpretation; the words of the wise, and their dark sayings.”- Proverbs 1:6. 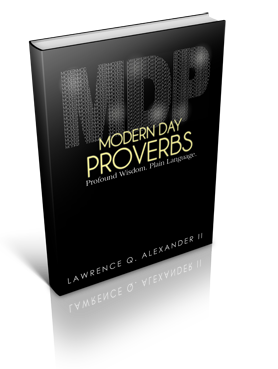 Modern Day Proverbs is God’s profound wisdom expressed in plain language. The author’s goal is to unite the Word of God and the people of God in laymen conversation. You will never read Proverbs the same after reading this book!